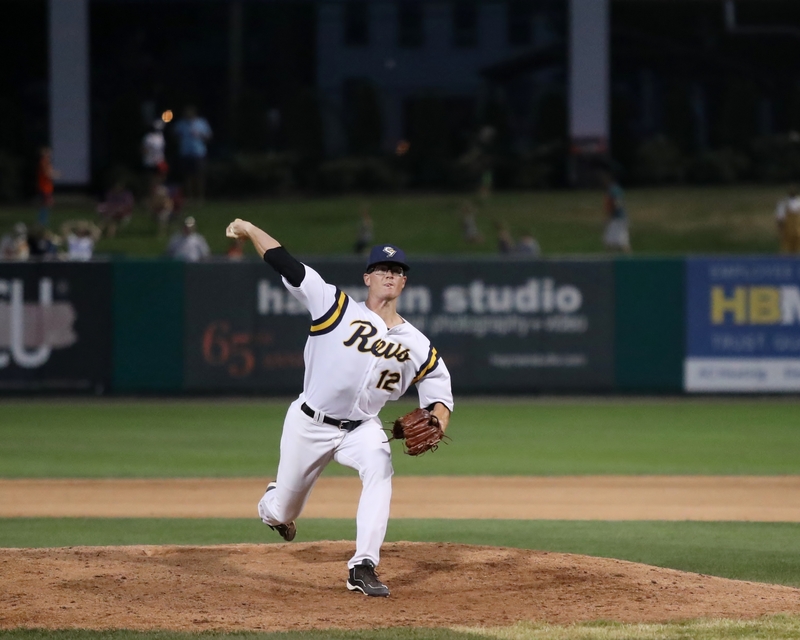 The Revs have brought back right-handed reliever Michael Click for a third season in York, making his signing official on Saturday afternoon. Click returns to the Revs after beginning the 2018 campaign in Germany, and made his season debut in York with a 1-2-3 inning in Saturday night’s home game against the Ducks. After helping the Revs capture the 2017 Atlantic League title, Click spent the winter pitching for the Canberra Cavalry in Australia for the second time in three years, appearing in 17 games and going 4-1 with 5 saves. His world tour continued to Italy where he participated in the Italian Baseball League’s spring training before landing in Germany, pitching for the Munich Haar Disciples and dominating as a starter, handling that role regularly for the first time in his career. Click ranks 9th in Revs history with 94 relief appearances. The Media, PA native went 7-3 for the Revs in 2016, coming within one of the franchise record for wins by a reliever in a single season. He lowered his ERA from 5.25 to 3.00, going 3-1 in 58 appearances last season. On top of his regular season performance, Click allowed just one hit and one run in three postseason outings, earning the win in the Revs’ championship clincher on September 29, 2017. Prior to York, the former Temple Owl dominated on both the Frontier League and Atlantic League circuits. That includes the 2015 season, his second with the Camden Riversharks, during which he went 5-1 with a 1.97 ERA before signing with York the following off-season. Also on Saturday, the Revs activated catcher Tyler Clark from the disabled list. Clark last played on June 24 before being sidelined with a hand injury. To make room on the roster, the Revs released infielder Nick King, catcher Roger Diaz, and RHP Zac Treece. This entry was posted on July 15, 2018 by blogtoblogchamps. It was filed under Player News, Team News .